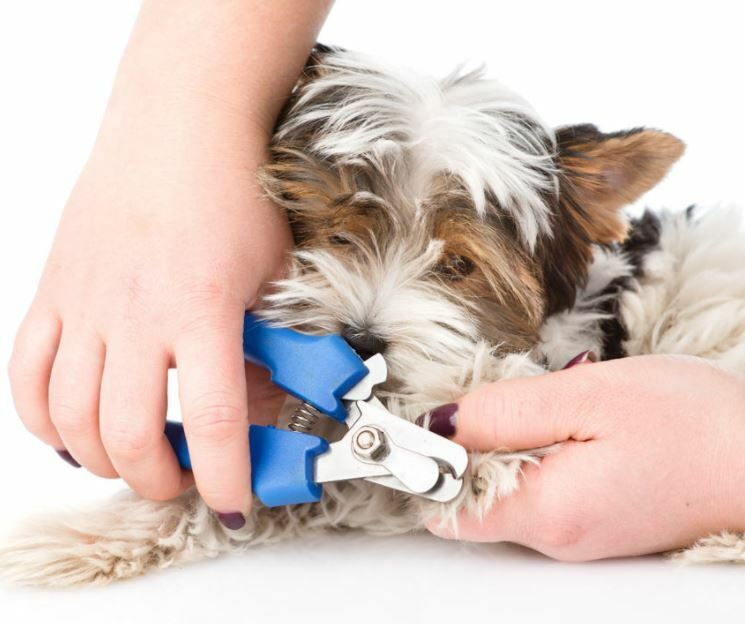 To clip your dog’s nails you will need some basic equipment that you can pick up at any good pet supply store. Special dog nail clippers have a different shape and are specially designed to make the clipping as fast and painless as possible. There are other items you can buy to make it easier to trim your dog’s nails too – various products that encourage the blood clotting process are very useful in case of messy clipping accidents. When clipping your dogs nails for the first time its important to ask someone who knows how to do it to show you. If your dog has dark nails (as many do) you will want to watch to get an idea of where your dogs “quick” is located. Most veterinarians will clip your dogs nails for you and this is the best way to learn. Don’t clip your dogs nails until you are completely sure what you are doing. Not only will your dog pick up on your anxiousness but he will most probably make things difficult for you. Many people find that one of the best ways to ensure a calm and easy nail clipping session is by walking the dog before you start with the clipping. Tire your dog out well and he might not be able to make as much of a fuss as he’d like. Even the simple act of massaging your dogs paws for a few minutes every day to desensitize your dog to being touched there.